Post-metabolism is an interactive installation that speculates a responsible carbon future in 2045, where carbon sustainability has become a value system, and individuals pay every gram of carbon dioxide they emit. Therefore, some people have started to embrace a symbiotic lifestyle with plants to offset carbon dioxide through photosynthesis. Post-metabolism is an interactive installation, which allows audiences to immerse in the carbon responsible future setting which combines three parts. It starts with choosing and transplanting one of the future symbiosis partners - Algae Ruff and Moss Beard. 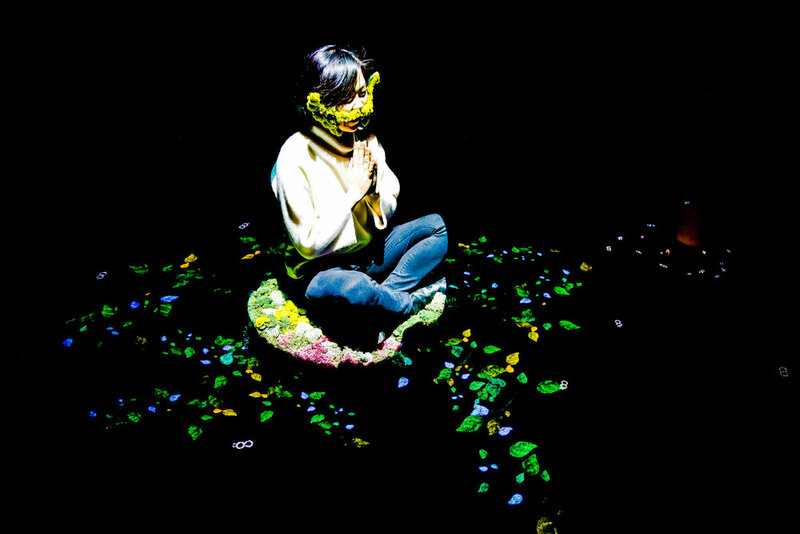 After entering the interactive moss garden, they find themselves to be photosynthesizing and absorbing carbon dioxide with their symbiotic partner through an animated projection on the floor. In the end, audiences are rewarded with a carbon credit, which they can trade for a tube of Spirulina smoothie, the daily nutritive food in the future. 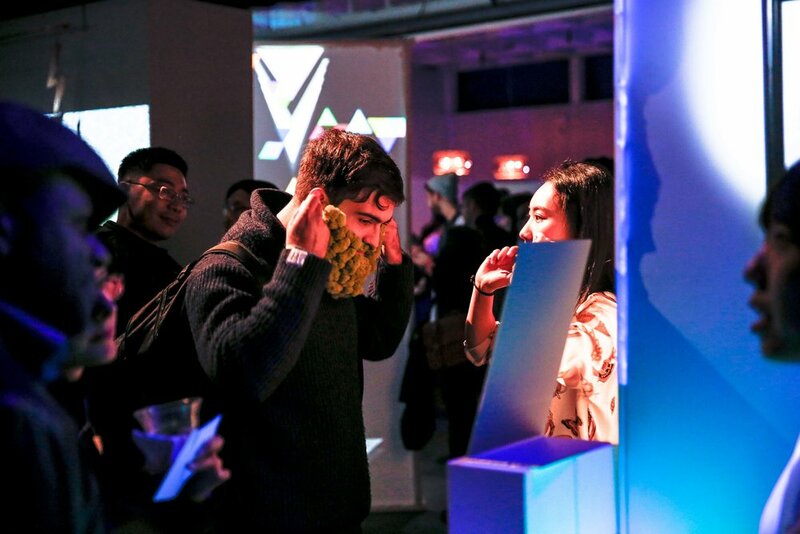 The interactive installation and the multi-sensorial artifacts enable audiences to immerse and engage with the imagined future world and its value system through presence, touch, wear, and taste.Environmental challenges require more action rather than awareness. Post-metabolic is not only meant to critique the present irresponsible mentality but also to bring possible future solutions closer to today by preparing people for change, mentally and physically.